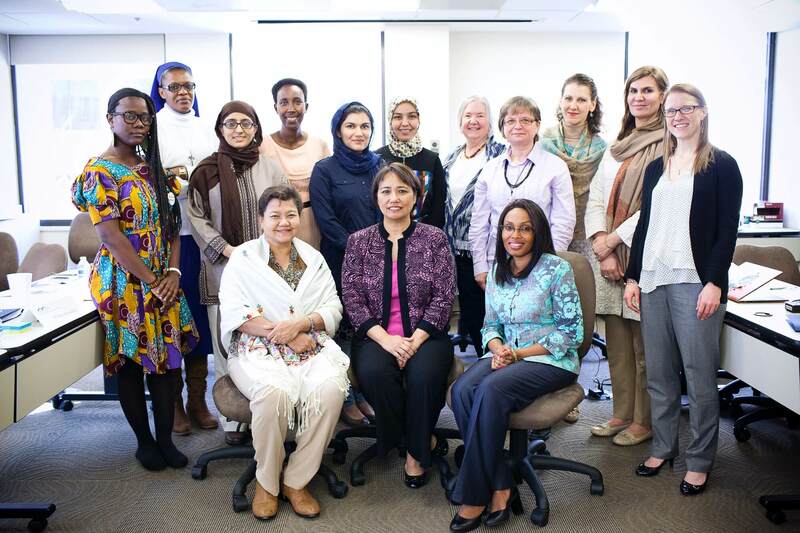 The Center for Women, Faith & Leadership (CWFL) supports and equips women of faith to assume and advance in leadership roles and influence decision making in global affairs, with particular emphasis in areas where women are most affected yet have had the least influence - religious freedom, conflict resolution, and peacebuilding. 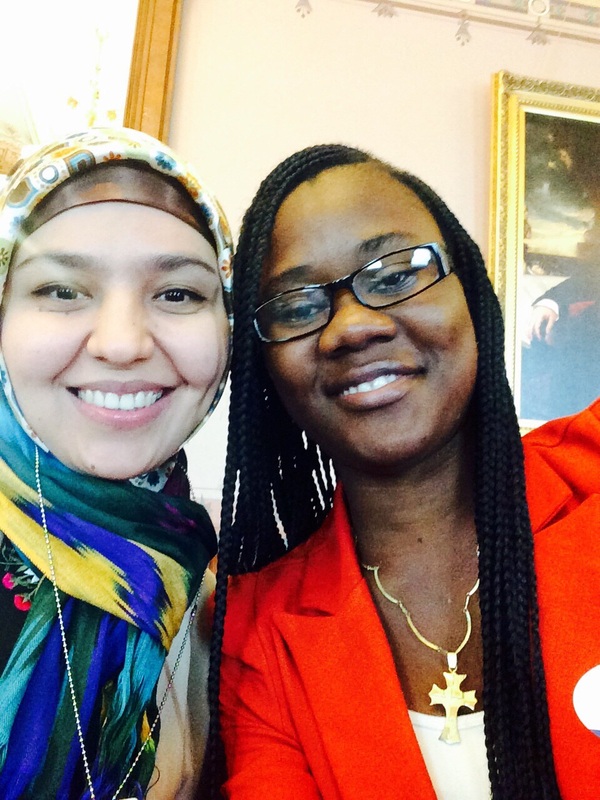 The CWFL Fellowship Program is an innovative 2-year program that offers women of faith the opportunity to increase their capacity and leadership skills, in order to more fully address religious freedom, conflict resolution, and peacebuilding in their own contexts. Fellows will learn from one another, and from a network of experts, in order to enhance their leadership, cross-cultural communication, and negotiation skills, while leveraging their expertise and networks to more effectively influence and educate multiple audiences and stakeholders. The Fellowship concludes with a capstone project where Fellows work to apply their skills and networks to a particular issue/challenge. In the process these Fellows demonstrate how women of faith can play integral roles in decision-making in global and community affairs, while also building a global movement of women experienced and equipped to be difference makers both in analyzing problems and implementing practical solutions. Educator from Syria; has lived abroad since 2012 due to the ongoing civil war. In Syria, she taught Islam & Arabic at the Al-Anduluse Institute for Islamic Studies, the only institute of its kind that works to empower Muslim women. IGE’s Center for Women, Faith & Leadership was inspired by its partners who resided in Syria, who empowered women & girls in leadership as a function of their faith and their belief in religious freedom. 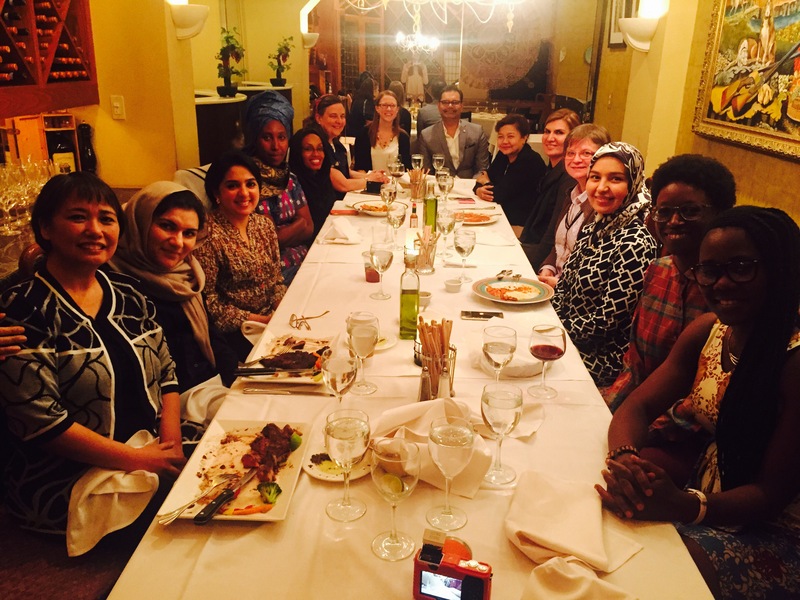 Through the Fellowship Program, the Center for Women, Faith & Leadership brings together women of diverse faith so that they can learn from one another and gain strength in their mutual advocacy for religious freedom. CWFL believes that women-of-faith bring a unique perspective to the table, one that is needed now in policy decisions impacting religious freedom. Through programming that focuses on knowledge-building, wisdom-sharing, resilience, and sustainability, CWFL offers women-of-faith a unique opportunity to rise in influence for the betterment of our national and global communities. A self-led leadership development toolkit specifically for CWFL program participants and supporters. The CWFL Religion, Gender & Identity (RGI) Initiative serves as a public resource, compiling and disseminating research findings and analyses on issues related to the integration of women of faith in global affairs. With an emphasis on understanding women’s roles in religious freedom, conflict resolution, and peacebuilding -- and their intersection with policy and practice -- the initiative serves as a platform for the pursuit and presentation of original research and as a resource to help equip leaders to better realize and utilize the imperative roles of women in all forms of decision-making and agenda setting, globally. More information about the RGI Initiative can be found on the CWFL Educational Resource Site. The Center for Women, Faith & Leadership Advisory Council is a body of prominent leaders from diverse sectors dedicated to supporting the vision and mission of IGE’s Center for Women, Faith & Leadership (CWFL) and its corresponding programs. Council members play a valuable role in the substance and sustainability of the Center, serving as advocates and advisors on issues relevant to women of faith and religious women’s leadership, especially their engagement and influence in under-represented sectors, in real-time. As a global initiative, Council members represent a diverse array of cultures, geographic locations, ethnic and religious backgrounds, political perspectives and professional competencies. Individuals invited to serve as CWFL Advisory Council members typically include leaders from the public, non-profit and private sectors that have demonstrated personal distinction, leadership, and a commitment to building the capacity of women of faith in order to ensure that these women, with full agency as equal citizens, are equipped and empowered to serve as leaders and agents of change-across vocations and locations; and, on the world’s most pressing socio-economic and geo-political challenges and conflicts. For more information on the aforementioned programs, or for partnership inquiries, please contact Kristen Lundquist, Program Director, Center for Women, Faith & Leadership at klundquist@globalengage.org. Interested in signing up for the quarterly CWFL newsletter? Visit the CWFL Educational Resource Site to learn more!